A welcomed new addition to our collection of French style and shabby chic furniture comes this exquisite antique French style dressing table stool from our beautiful Bakersfield white collection. 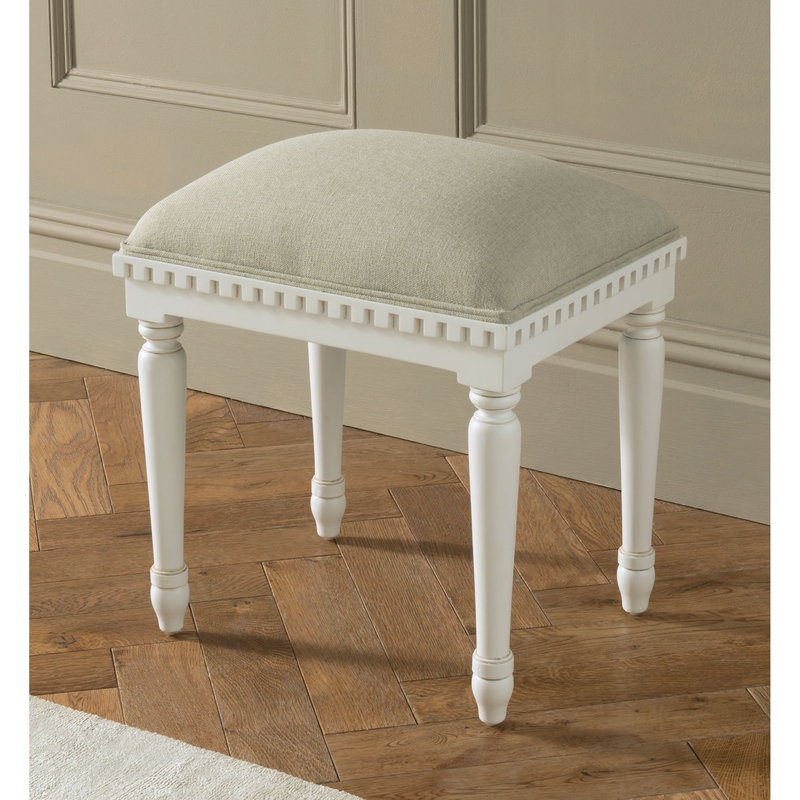 Hand Carved and carefully built by experts, this beautiful stool upholstered in fabric and finished in white is perfect to provide additional seating or as part of a dressing table set. With an overall shabby chic design this wardrobe will not fail to turn heads and become a centre piece in any room.